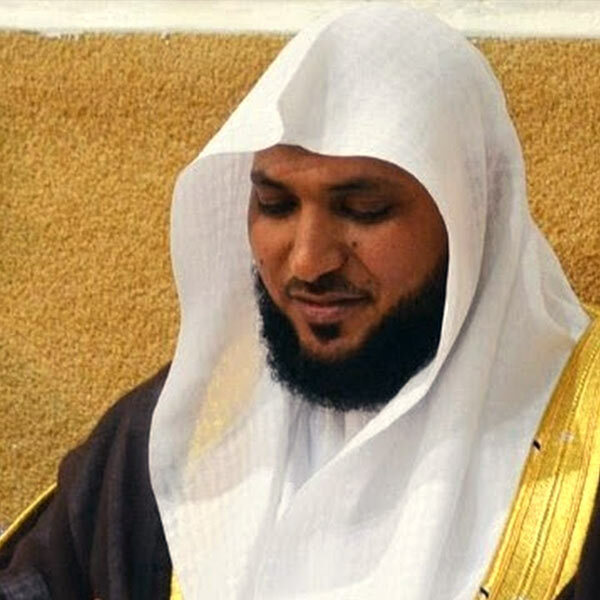 Maher Ibn Hamad Ibn Muaiql Al Muaiqly Al Balwi, is a Saudi Imam and Qur’an reciter. He was born on Shawwal 18, 1388 Hijri in Medina. Maher Al Muaiqly grew up in Medina. He earned a professional degree in mathematics and joined the educational stuff of Balat Al Shuhada’s School and later became the students adviser in Abdul-Majid School of Mecca. In 1425, Sheikh Maher got a master in Shari`ah from Om Al-Qura University. Lecturer in the Shari`ah and Islamic Sciences Faculty, Maher was leading prayers in Abdul-Rahman As-s`adi Mosque, Mecca. From 1416H to 1427, Maher was imam at the Prophet’s mosque and the Grand Mosque.